BRATECK 13'-27' Folding monitor mount for ceiling or under cabinet. BRATECK 13''-27'' Folding monitor mount for ceiling or under cabinet. Max load: 20Kgs. Supports VESA 75x75 & 100x100. Colour: Black. 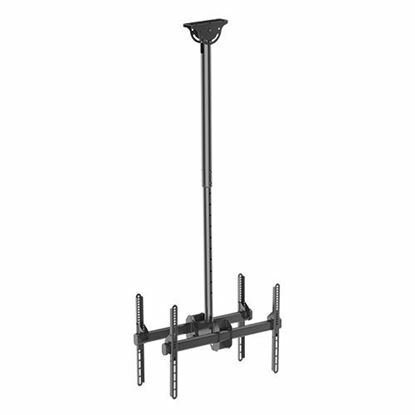 BRATECK 23'-42' Telescopic full- motion TV ceiling mount. 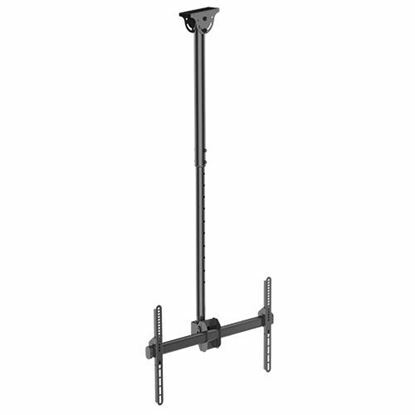 Tilt and BRATECK 23''-42'' Telescopic full- motion TV ceiling mount. Tilt and swivel. Max load 50Kgs. Supports VESA 100x100,200x100,200x200 Colour: Slate black. BRATECK 32'-55' Telescopic ceiling mount bracket. Max load: 50kg. BRATECK 32''-55'' Telescopic ceiling mount bracket. Max load: 50kg. VESA: 100x100,200x100,200x200, 400x200. Profile: 970-1470mm Hidden cable management. Colour Black. BRATECK 37'-75' Ceiling mount bracket. Max load: 50Kgs. BRATECK 37''-75'' Ceiling mount bracket. Max load: 50Kgs. VESA support up to: 600x400. Profile: 560-910mm. Hidden cable management. Colour: Slate black. BRATECK 37'-75' Ceiling Mount Bracket. Max Load: 50Kgs. BRATECK 37''-75'' Ceiling Mount Bracket. Max Load: 50Kgs. VESA support up to: 600x400. Profile: 1060-1560mm. Hidden cable management. Colour: Slate black. BRATECK 32'-55' Telescopic full- motion ceiling mount. Max load: BRATECK 32''-55'' Telescopic full- motion ceiling mount. Max load: 50Kgs. VESA support up to 400x400. Profile: 560-910mm. Tilt & swivel. Hidden cable management Colour: Slate black.